Global spending on native ads is predicted to hit $85.5bn a year within the next two years; it’s a format that is deemed to offer a more appealing and engaging user experience and is thus rapidly growing in popularity among marketers and brands – likely to overtake banner ads as the field leader in display advertising. Here’s a glimpse into tomorrow’s digital ad world and what the more creative, relevant and editorially compelling native advertising 2020 could add up to. In 1994, interactive ad man Joe McCambley purchased the internet’s first-ever banner ad. Unbeknown to him, he had started an advertising revolution that continues today. Despite the internet’s limited capabilities, in 1994, banners were soon fast-tracked to become the most popular ad format, and have since funded the majority of digital content we see today. For more than 20 years, display advertising as we know it has been synonymous with banners and, over the past 10 years, ad spend on banners made up 95% of all digital display spend. Today, the IAB recognises 11 different types of display. It’s worth noting that of these 11 groups, banners are still the largest category with £1.4 billion being spent on banners in the UK in 2016. The IAB UK / PWC Digital Adspend Study also recently found that nearly 40% of total display spend came from banners, a figure four times larger than 10 years ago. Banners may seem to have the edge, but a new format is wasting no time catching up: in 2016, £1.17 billion was spent on native advertising in the UK, a figure that makes up 31% of total display spend. When native burst on to the scene, it was a much-questioned ad format with plenty of uncertainty over its effectiveness, ethics and ability to scale. But native appears to have answered all those questions and is now pointing to the future of digital advertising. Considering that last year banner spend fell 8% and native grew 28%, if the same holds true for the rest of 2017 (and I believe it will), native could easily overtake banners by the time 2018 rolls around. At the end of Q2 this year, native content already made up 46% of all UK mobile display spending, costing a total of £884 million. According to an aggregate analysis of forecasts from BI Intelligence, IAB and eMarketer, global spending on native ads will hit $85.5bn a year in 2020 – that is 30% of all global ad spend, and a 213% growth from 2016. The BI Intelligence Digital Media Ad Spend Report predicts that mobile will be the fastest-growing ad channel by 2020, rising by an estimated 26.5% CAGR in the next two years. Simply put, native advertising is booming across the world, but it is also true that the boom is louder in some parts of the world than in others. In 2020, North America will still be the biggest native advertising market in the world, with investments reaching $31.7 billion. The US market will dominate, where it will be worth $29.65 billion – up from $13.9 billion in 2016. To put this in to perspective, that is about 40% of the current value of the US TV advertising market. Clearly, native is on course to make big bucks here. Across Europe, native advertising is growing apace. From a strong base in markets such as France, Germany and the UK, native advertising is on course to grow by $10 billion by 2020, to be worth nearly $20 billion per annum, up from $9.2 billion in 2016. The UK is predicted to be the largest native advertising market – up to $5.81 billion by 2020, from $2.73 billion in 2016. The market in Germany will follow, where it is estimated to be worth $4.43 billion by 2020, up from $2.08 billion in 2016. Asia and the Pacific are perhaps a few years behind the North American and European markets when it comes to native advertising, but the potential is vast. 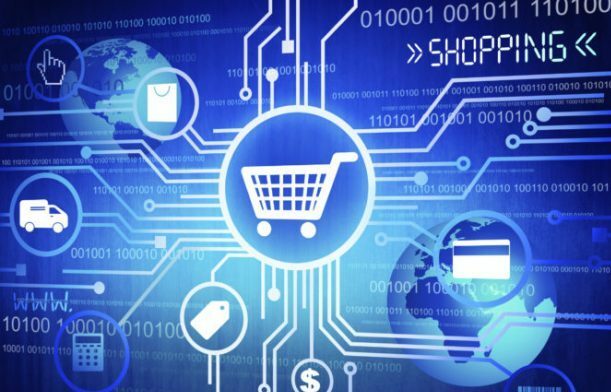 Over the next few years, we can expect major advances in the Asian native advertising space. The market as a whole is estimated to be worth $20.34 billion by 2020, up from $11.92 billion in 2016. Just like the Asian market, the Latin American market is perhaps a few years behind North America and Europe, but that doesn’t mean that there is not an opportunity there; in many ways Latin America is a major opportunity for native advertising. The fact that there are only two major languages – Spanish and Portuguese – and numerous publishing groups, agencies and service providers that operate in a pan-continental fashion, means that native advertising uptake, when it does take root, will be swift. The native advertising market across the African continent is growing, with markets such as South Africa, Kenya and Nigeria leading the way. It is very much in its infancy here, but the continent has much potential. Native advertising should, in fact, become the main digital ad format of Africa by 2020. Why, you may ask? Africa is actually a mobile-first digital landscape. Mobile e-commerce and mobile ads are big business across the continent, and native advertising is the natural ad format for mobile devices. The number of mobile subscribers across Africa is predicted to grow to 720 million by 2020. The number of smartphones across Africa almost doubled from 2014-16, reaching 226 million consumers, according to a report published by GSMA on Africa’s mobile economy. In 2016, for example, We Are Social reported that 75% of all webpages served in South Africa were to mobile devices. As prices for smartphones continue to fall, more and more Africans will undoubtedly be using them – and, as a result, increasingly interacting with native advertising. The native advertising market as a whole is going to keep growing, but like any industry, there are going to be some geographical differences between markets. What is certain though, on a global level, is that native is pointing the way forward for digital advertising, up to 2020 and beyond. 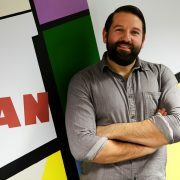 Dale Lovell’s career at the forefront of digital advertising spans editorial, publishing, marketing and advertising technology. He is chief digital officer at ADYOULIKE and a member of the Internet Advertising Bureau (IAB) Native and Content Council, UK. In 2015, he was named one of the British Interactive Media Association's Hot 100. 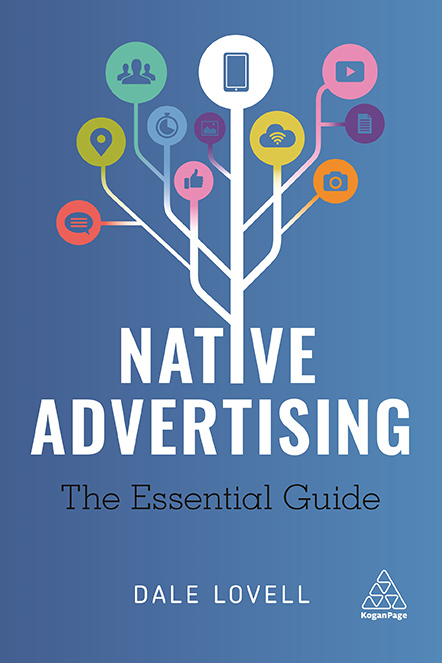 The book, Native Advertising (published by Kogan Page), by Dale Lovell, is now available to buy.